Is it time to segment your customer base? Consider this, proper alignment of your customers will ultimately result in an efficient, scalable and cost effective Customer Success organization. Imagine all the possibilities if you had an efficient, scalable and cost effective Customer Success organization. 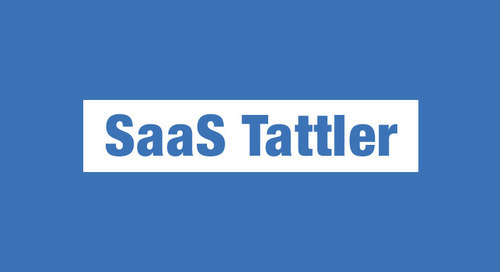 In this issue of the SaaS Tattler we look at the importance of customer segmentation and provide some strategies that can be put into action today. Prefer a visual resource? Check out yesterday’s webinar recording and slides to learn more about strategies for account segmentation. Yeah, we have all heard that it’s important to segment your customers but do you know why? As a person that always ask “why”, I figured there is no better place to start then to explain why it’s important to segment your customers. Simply put, customer segments allow you to understand the patterns that differentiate your customers. In this article, Jeff Sauro provides actionable strategies that you can apply using your existing customer data. While the type of product or service will determine the customer attributes that are worth segmenting, there are some fundamental attributes that most organizations should be familiar with and collect data on. Long gone are that days of only segmenting your customers based on demographic data. Don’t get me wrong, demographic data is still important but there are two reasons why it’s not enough; (1) not all customers buy in the same way and (2) big data allows for smarter segmentation models. In this article, Jorge Lopez provides three steps to help you build a successful customer segmentation and targeting model. Having outlined the three points in the checklist let me now elaborate on each of them. Begin by understanding how customers make buying decisions. Do they focus on price, performance and terms of delivery? Are they looking for standardized or customized products and/or services? Are they willing to collaborate and invest time and effort? The next step is to focus on customers with the greatest potential and where your organization has the best opportunity to win. In this phase, trusting your instinct can be good, but it can also be devastating. Instead, we recommend to apply a systematic and data-driven approach to find those customers with the greatest potential. Not sure how to identify customers with the largest future revenue potential? Last but not least, align sales resources and sales activities with the purchasing behavior. After all, sales approaches that work for buyers seeking standardized offerings, do not work for buyers seeking customized ones. Make sure to divide your sales force into two organizations: traditional and complex sales. Finally, decide which sales organization is more qualified to meet customers’ needs and demands. The purpose of splitting the organization in two is to treat each unique customer they way they want to be treated. If done properly, it enables sales organizations to send the right salesperson on the right opportunity with the right support. Want to learn more on the different types of sales logics that you need to take into consideration? When it comes to applying segmentation to your customers, you’re only as smart as your data. The less information you have about your customers, the less effective you can be when segmenting. In this article, Retention Science provides a high-level overview of customer data segmentation and examines specific data points that provide the most insights. Analyzing purchase history is the key to customer retention. When building customer segments, treat buyers with 2 purchases differently than those with 4 purchases. Improving the number of orders per customer will return a higher customer lifetime value (CLV) over time. Knowing your customer's last purchase will help build a consumer lifecycle. Targeting users who you know need replenishment is a perfect segment. Timing your messaging is a huge factor in engaging your customers. Collecting the initial registration source of your customer orders is an effective and longer term strategy. What better way to analyze your acquisition traffic value than having this tagged in your data set? Don't simply compare 2,000 customers from one source to another with 50,000. Be patient and understand it takes time. Targeting campaigns based on product and category purchase history can have a profound effect on your numbers. For example, customers who repeatedly purchase "blue shirts" have an affinity for and interest in them. Give your customers what they want to see. If customers are coming to your website 15 times before they make a purchase, understand the trends behind it. By collecting the number of sessions a customer interacts with your website, you can build general profile sets to find your high- and low-value customers. As your data progresses, you may find high-value customers purchase at 10 sessions versus low-value customers at 5 sessions. Evaluating a user who opens an email or page is very different than one who clicks an email or a page. There is more customer intent in "clicks" and this can help drive your marketing campaigns further for additional touches or shorter to reduce spam complaints. Understanding when your customers interact with your store optimizes their experience. Send communications when they're most engaged and likely to perform an action. Supply customers with the optimal chance to reach your business goals. Brands that ditch mass marketing techniques and focus on more relevant and individualized messaging will win. In this article, Rachel Serpa references President Obama’s presidential campaign and how his team used voter data to create segments, leading to an increased effectiveness of all his tactics. She also shares 12 simple ways to segment your user base to nurture new and existing customer relationships. Gender: I’ll be honest, I’ve never clicked on one of the ads for men’s Italian suits my favorite luxury brand insists on showing me as I surf the web. It may seem obvious, but keeping gender in mind when segmenting campaigns can have a significant impact on results and save you from wasting campaign dollars. Birthday: Who doesn’t like to be remembered on their birthday? Virgin America keeps tabs on customers’ birthdays and sends them a 15% discount in honor of their special day. Language: Language is the backbone of effective communication, but many brands overlook the opportunity to collect data around their customers’ preferred languages and segment their audiences accordingly. Location: Thanks to the smartphone, marketers are now able to influence consumers’ real-time decisions by reaching them on-the-go. One of my favorite retail brands, Styles for Less, texts me special discounts that can only be redeemed at the store location in my hometown. If there’s one thing your customer should never lose focus on, it’s the customers. Here are 8 Ways to Ensure Your Company is Customer Success Focused. If it's all about the customer, why do companies struggle to make them the center of the brand experience? It’s because Most of Your Customers Aren't That Valuable. Customer Success isn’t just a way to retain clients - it’s the most potent way to grow your SaaS business. Here are 10 Ways to Grow Your Business with Customer Success.